If you’re actively publishing relevant blog posts on your company website, you’re already making big strides toward stronger SEO for your site’s domain. Blogging can be a huge driver of SEO—especially when you know how to set up each post for search engine success! To get started, here are seven tips for writing SEO-friendly blog posts. You can’t write about everything, and you also don’t want to write about just anything. To narrow your focus, choose three to eight core topics for your company blog. Every post should correlate with one of these themes, and each time you publish a new blog, you’ll add to your thought leadership on that topic. This also makes it easier to add internal links to other relevant blogs in each new post. The more internal links there are to a particular page, the more important that URL will appear to search engines. For instance, at SmartBug, we publish content around seven distinct topics, which allows readers to filter content by category and jump to their area of interest. Publishing blogs around topics instead of keywords is a relatively recent development in the SEO world. Google used to list search results by matching keywords to search queries, but now it’s designed to interpret the searcher’s intent and then suggest the most relevant and authoritative content. For writers and marketers, this means that blog posts don’t have to be limited to an exact keyword. Instead, blogs can be topic-based and potentially rank for a wider range of search queries. To keep it simple, think of the topic as your overarching theme and the keyword as the specific question or subtopic you can address for your reader in that particular blog post. While topics provide the structure for your content strategy, keywords still play an important role in your SEO success. Keywords are the most direct way of telling search engines what your blog is all about. This is the number-one place to include your primary keywords. Your title tag (blog headline) is the most immediate way to tell searchers (and search engines) what they can gain from clicking on that page. Descriptors that expand on your keywords, such as “2019,” “guide,” “checklist,” or “tips,” are also helpful. Pro tip: Include keywords toward the beginning of your title tag for an added SEO boost. Make sure your post title is in the code as your H1 tag. If you use a tool like HubSpot or WordPress, this is probably automatic, but double-check your template to make sure your <h1> tag is set up correctly. Throughout your blog, use synonyms of your keyword in your subheaders, which should be tagged as <h2> or <h3>. Google is smart enough to recognize and relate synonyms of your keyword (sometimes referred to as latent semantic indexing keywords or LSIs). As you write, try to incorporate the most important keywords in the first 100 words of your blog. If it’s too distracting to try and include the keywords as you go, try writing the full blog post and then going back to add keywords and relevant synonyms where they naturally fit within the body copy. The meta description is the text that search engines display underneath each link to show a preview of what the page contains. Words that match the search query are bolded to help the user quickly identify the most relevant link, which is why this is the perfect place to add your most relevant keywords. As of mid-2018, the approximate suggested length for meta descriptions was 155 characters, However, many high-ranking sites have meta descriptions of 300 characters or more. As a general rule, make sure to lead with the most important information so that users can see at a glance what your page is about, even if the description gets partially cut off. Lastly, your meta description should be both intriguing and accurate—no one likes to be fooled by clickbait or mismatched descriptions, so make sure you are setting the right expectations and building trust. One of the quickest ways to make a webpage more SEO-friendly is to simplify the URL. A great URL is short, descriptive, and readable by humans, including one or two relevant keywords. Bonus points: Google favors URLs that begin with HTTPS (meaning your website is encrypted and secure), as opposed to HTTP, as well as sites that end in common top-level domains (TLDs) such as .com, .gov, or .net. Wondering if your URL meets all of the requirements? Here’s a helpful infographic with more details on how to optimize your URL. Add keywords to image alt-text or the image file name. Not only is this helpful for search engines, but it also improves your page’s accessibility. This is also the text that is displayed if your image fails to load. Another image-related SEO tip is to use a site like Tiny PNG to compress images so that your webpage loads faster. Google favors multimedia content but penalizes slow, clunky websites. Compressing your images allows you to include great visual content while preserving the fast loading speed that users appreciate (and expect). In 2016, Google reported that nearly four in 10 people search only on a smartphone on a given day. Since then, Google has adopted mobile-first indexing, which means it will prioritize (read and index) the mobile version of a given site rather than the desktop version in order to determine how it should rank in search results. If your site is optimized for mobile (hint: If your site is on HubSpot, it’s automatically mobile-responsive), then inbound links to each blog post are attributed to a single URL, which increases your site’s authority. Internal links connect pages of your website to one other. In each blog post, try to add two to three links to other relevant blog posts or internal pages using descriptive hyperlinked anchor text. External links point to content that exists on a different website. Linking to relevant, trustworthy sites can boost the credibility of your post, which helps your post rank higher in search results. External links are a great way to reference relevant data or ideas in order to give your readers more information and associate your brand with other reputable sites. 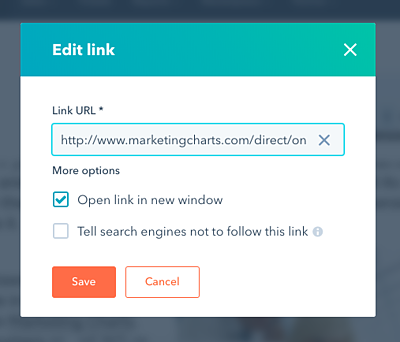 Quick tip: Make sure external links are set to open in a new tab. This allows visitors to explore that site’s information without exiting or losing their place on your website. If you use HubSpot, you can simply click the hyperlink to adjust its settings. 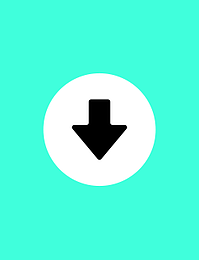 Another way to use links is by adding CTAs that link to the next piece of content that your reader is likely to find useful as they explore this particular topic. Include an inline CTA partway through your blog, along with a more prominent CTA at the end of each post, to provide a logical and helpful next step. Help your readers jump to the most important information by using headers, subheaders, bullet points, bold text, callouts, and/or a table of contents with quick links to each section. To keep your post simple, aim for an eighth-grade reading level. Using short sentences and common terms helps search engines and readers understand your content more clearly. Make it easy for readers to spread the word! The more your link is shared, the more trustworthy it appears to search engines. Not to mention, the more your content is shared, the greater the likelihood you have of earning backlinks, building social proof, and increasing trust in your brand. Here’s one of the simplest ways to think about SEO: The search engine’s goal is to help people find what they’re looking for (even if the search engine makes a profit in the process). At its core, an SEO-friendly blog is a user-friendly one, with a few added steps to help reinforce the topic for search engines so it can suggest your post to the right readers. Ready to optimize your blog posts? Get started with our free SEO worksheet below. Meg Andersen Meg is a Marketing Consultant at SmartBug with several years of experience developing marketing campaigns as part of in-house and agency teams. 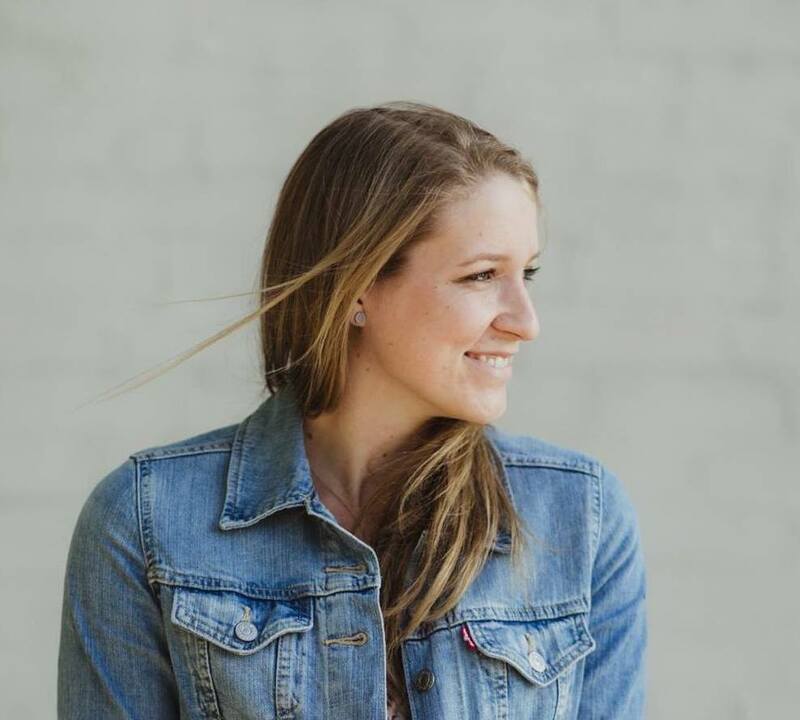 She is passionate about using digital marketing to create meaningful experiences and build stronger connections between organizations and their stakeholders. Read more articles by Meg Andersen.